Wilson C. Pasley is a native of Roanoke, Virginia, having moved to the area when he was three years old. Wilson attended high school at and graduated from Roanoke Valley Christian School in 1996. Wilson chose to attend college at Furman University in Greenville, South Carolina, obtaining a degree in history and political science in 2000. Wilson then enrolled at law school at the College of William and Mary. While there, he served on the editorial board of the William and Mary Bill of Rights Journal and published a note in the Bill of Rights Journal. Wilson also completed internships at the Office of the Attorney General in Richmond, Virginia and the Commonwealth's Attorney's Office in Hampton, Virginia while in law school. 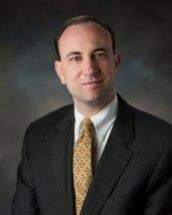 Following completion of law school in 2003, Wilson was admitted to the Virginia bar and also clerked for a year for a civil state trial court judge in Cape May Court House, New Jersey, gaining valuable insight into the practice of civil law. Following his clerkship, Wilson went to work for the Commonwealth's Attorney's Office in Danville, Virginia. While there, Wilson gained significant courtroom experience by trying hundreds, if not thousands, of cases, ranging from minor traffic offenses to violent crimes. After spending five years as a prosecutor, Wilson decided to move back home to Roanoke and start his own law practice. Wilson has chosen to focus his practice on the areas of family law, criminal defense, DUI/traffic law, estate planning, landlord/tenant law, and commercial litigation. While it is often desirable and worthwhile for clients to settle cases, Wilson will not hesitate to use his vast courtroom experience to obtain the results that his clients deserve through trial if necessary to advance his clients' interests. Whatever the case and regardless of the situation, Wilson is committed to advancing his clients' interest through thorough, diligent, and persistent legal representation.